When Cyclone Pam hit Vanuatu, it struck a very vulnerable target. The Pacific nation is considered one of the world’s poorest and is ranked by the United Nations’ WorldRiskIndex as the most disaster-prone country. Yet for a storm significantly stronger than Hurricane Katrina, Cyclone Pam resulted in a relatively low number of casualties. Early warnings helped save scores of lives across the 80 low-lying islands, which have a population of roughly 260,000. It was difficult to gauge the extent of Pam’s devastation even after the storm subsided, with communication failures making it difficult for authorities to have a true picture of the devastation. But like in many disaster zones, authorities expected the worst, with the vast majority of civilians still without access to water, food, shelter or power. And with only one main hospital, the nation’s limited infrastructure buckled under the pressure. As the world looks to ease the burden on the tiny Pacific nation, what can the tech community do to support the international effort? With Vanuatu almost 2,000 miles away from its nearest neighbor, Australia, ensuring that fresh supplies reached the tiny nation was at the top of a long list of concerns for relief workers. The BBC reported that many islanders resorted to drinking harmful saltwater while they waited for outside help. Innovations in the low-tech space are helping aid agencies combat these challenges, bringing cutting-edge techniques into the field to help aid workers already on the ground. 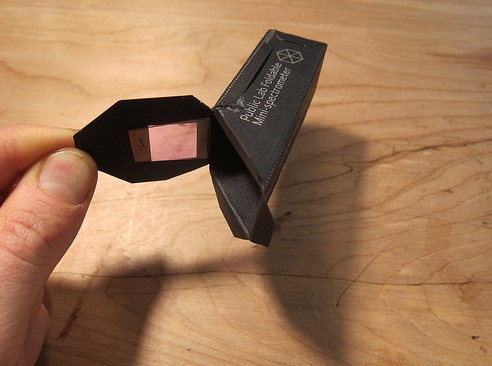 Public Labs has produced a DIY spectrometry kit that can be used to analyze the chemical makeup of a material, measuring light’s various properties by splitting the light into individual colors in order to study them separately. In practice this allows people to identify and analyze contamination following a natural disaster, constructed using materials, such as a VHS cassette case, black card, a webcam and a DVD. As light enters the box, grooves on the DVD create a prism that bends the light’s wavelengths, resulting in a spectrum that can be analyzed. Captured by the webcam, open source software allows results to be compared with already known samples. Advances in engineering are also improving the speed at which resilient structures are assembled. 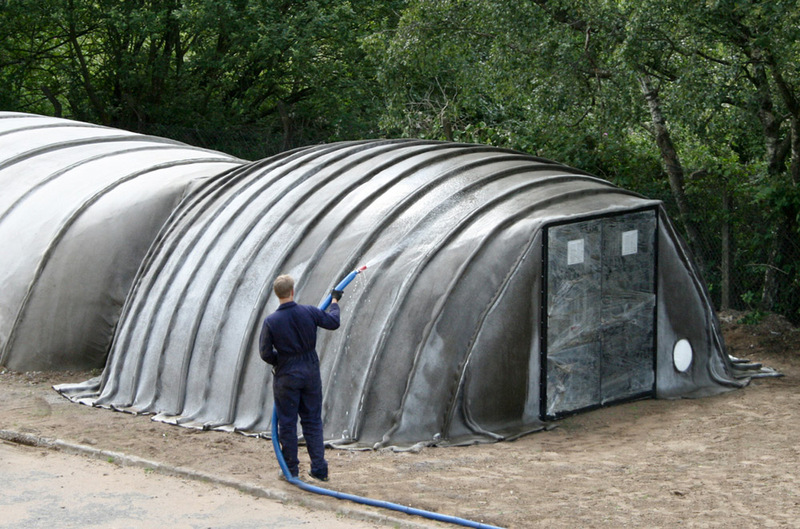 Concrete Canvas Shelters are just one example, with the cement-hybrid fabric allowing fire-proof structures to be constructed in less than an hour. Once the canvas is anchored down, a quick douse of water will result in a permanent shelter boasting a 10-year life. In the immediate aftermath of any disaster, maintaining communication is paramount, whether for relief workers on the ground, hospitals dealing with the injured, or families looking for their loved ones. But using traditional channels is often a struggle, whether a result of physical damage to satellite equipment or because networks are overloaded – indeed many have described the experience as trying to see through fog. It was this that prompted Google to launch crisis maps, a service that aids emergency preparedness and response, while the social networks of Facebook and Twitter – so often platforms used to invite donations – help facilitate communication during disasters when alternative methods have failed. When an earthquake hit Haiti in 2010, open-source software crowdsourced information provided by locals to present an interactive map of the crisis. In a mostly urban environment, where mobile networks were quickly repaired and cell phones the main means of communication for survivors, people from affected communities provided eyewitness reports through SMS and social media. Using information submitted from around the world via text message, email and the web, reports were vetted and mapped with GPS coordinates before being sent to rescue teams on the ground, with more than 10,000 Haitian-American volunteers translating messages written in Creole. “I’m buried under the rubble, but I’m still alive.” Reports like these flooded the Ushahidi platform, helping the U.S. Marine Corps and hundreds of aid organizations to coordinate their humanitarian response to the quake. In the case of Vanuatu, due to the atypical geography of the archipelago – stretched over 80 islands in the Pacific Ocean – assessing the extent of the damage proved the immediate challenge. But its isolation made transporting supplies and advanced equipment all the more difficult. The best strategies combine information from many different sources, analyzing them collectively to identify patterns. In situations such as these, it is vital that even the most rural of communities is able to act. Again, tech initiatives are providing solutions through organizations like OpenSource, which is dedicated to improving communications tools in disaster zones. OpenSource specializes in providing free access to plans for tools that can be built using household objects. One such device the social enterprise has been developing is a UAV that can be constructed using off-the-shelf components such fiberglass. The drone is designed to be small enough to be launched from footpaths, can be smart enough to recognize roads, people and smoke, or use sensors to measure weather and radiation, with all of the information it collates easily sharable with disaster management systems used by relief workers. Viral outbreaks are increasingly common after a disaster, often meaning its initial impact continues to be felt long after the event. But digital techniques are increasingly proving instrumental in containing epidemics. Even in disaster zones, real-time analytics that process and churn huge amounts of data can help pinpoint previously unanticipated trends, limit the number of deaths and, in doing so, massively reduce the spread of disease that often accompanies disasters such as hurricanes and earthquakes. 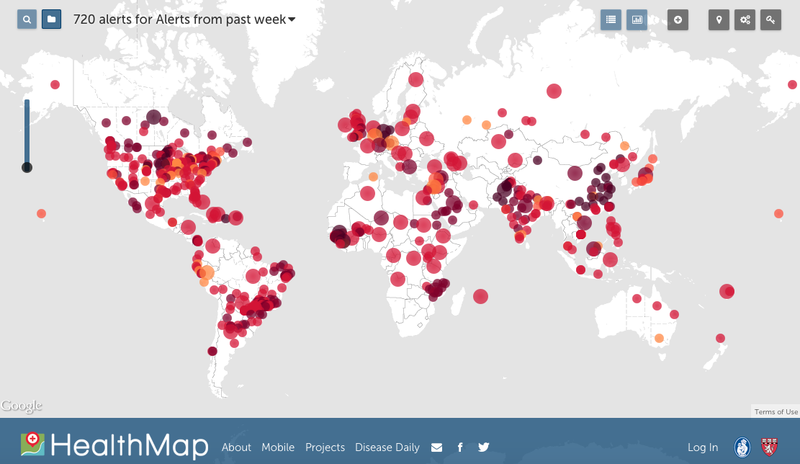 Techniques such as these made front-page news around the globe during the protracted Ebola crisis, with Harvard’s HealthMap service flagging the outbreak some nine days before the World Health Organization formally announced the epidemic. The organization creates a visual report of global disease outbreaks, sifting through millions of social media posts including those from health care workers in Guinea blogging about their work. But using one technique alone will only ever provide a partial picture. The best strategies combine information from many different sources, analyzing them collectively to identify patterns. In disaster zones this can mean accessing health clinic reports, media updates, social media posts, information from public workers on the ground, transactional data from retailers and pharmacies alongside helpline data. Being able to crunch data on this scale necessitates being able to do so quickly, collating and analyzing it in its native form as soon as it is produced across the globe — a process known as multi-center ingest. Combined with the vast quantities of public information already accessible via the Internet, analytics can help ensure those working in hazardous environments are able to stay on top of ever-changing situations. It’s easy to sneer at the sincerity of the tech community’s humanitarian efforts given the industry’s reputation for navel-gazing and investing in long-term, skunkworks projects: Google has plans for a pill that can diagnose cancer and a smart contact lens that monitors diabetics’ glucose level, while Facebook is developing solar-powered drones that beam down Internet access to the world’s developing regions. But the real value of Silicon Valley’s contribution can be found in the wide variety of tools the tech community is providing at a grassroots level. And for a country where many are still without power or shelter, both high and low tech initiatives are fundamental in responding to disasters.